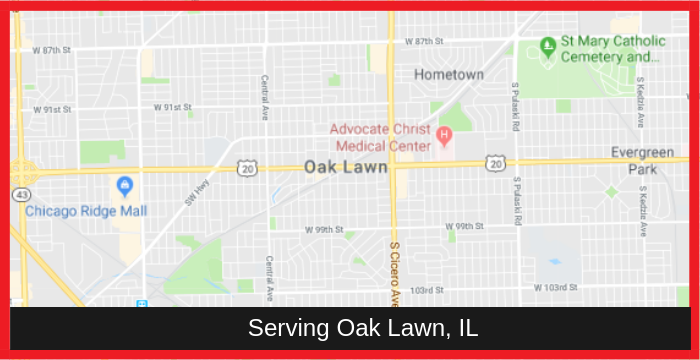 Serving Oak Lawn, IL | Mancari's Chrysler Dodge Jeep RAM, Inc.
You are only a short drive away from a Chrysler, Jeep, Dodge and RAM dealer near Oak Lawn, IL that provides excellent deals, savings and top-notch dealership services! Do you know that you’re just minutes away from a trusted Chrysler, Jeep, Dodge and Ram dealer near Oak Lawn, IL that offers amazing deals, cost-effective offers, and world-class dealership services to drivers and car shoppers? Simply make the short drive to 4630 W, 95th Street Oak Lawn, IL 60453 at Mancari’s Chrysler Jeep Dodge RAM, Inc., and see for yourself the wide assortment of Ram, Chrysler, Jeep and Dodge models for sale in Oak Lawn, IL that you can drive home for the ideal financing/leasing deal with the best rates and terms! If you want to know more about the Chrysler dealer in Oak Lawn, IL, the new and used cars from Chrysler Fiat that you can lease or own for the perfect deal, or schedule a test drive, call Mancari’s CJDR, Inc., at (833) 372-9600 today! The best and the latest Chrysler, Jeep, Ram and Dodge models for sale near Oak Lawn, IL are ready to meet your needs and exceed your expectations at Mancari’s CJDR, Inc.! Here at Mancari’s CJDR, Inc., there’s always a sedan, SUV, or Truck in our inventory that is perfect for any driving need and lifestyle. This is because our inventory not only features the entire line-up, down to the last Trim and Package, of a single automobile brand, but four of the most celebrated names in the entire industry: Chrysler, Jeep, Dodge, and Ram! And when it comes to the latest and finest models that Fiat Chrysler Automobiles have to offer, Mancari’s CJDR, Inc. is one of the leading dealers near Oak Lawn, IL! So if you are looking for hard-working trucks for your business or vocation, we are a top Ram dealer near me that will help you own or lease the most powerful and heavy-duty Trucks in America including the 2019 Ram 3500 or 2019 Ram 1500 Tradesman. For outdoor adventures and rugged driving supremacy, we are also an established Jeep dealer near me that can give you the keys on the most versatile and capable 4×4 vehicles on the road like the 2019 Jeep Wrangler and 2018 Jeep Renegade. Or perhaps you’re looking for a Chrysler dealer Oak Lawn, IL, that offers effective dealership options for a brand new 2018 Chrysler Pacifica? Or do you want to get behind the wheel of one of the most iconic Dodge models for sale Oak Lawn, IL, like the legendary Dodge Challenger? Whatever it is that you want and need from your ride or looking for from your dealer, Mancari’s CJDR, Inc. is ready to fulfill them all and some more! To discover the numerous different 2019 cars for sale near me and the kind of dealership experience and services that can expect to enjoy at Mancari’s CJDR, Inc., call (833) 372-9600 now! Drive home a superbly-conditioned used car at an amazingly cost-effective price with premium Certified Pre-owned Vehicles at Mancari’s CJDR, Inc! Want instant access to a wide selection of used Chrysler, Jeep, Dodge and Ram cars that are amazingly conditioned and discounted? At Mancari’s CJDR, Inc., you can enjoy cost-effective used cars that are more than capable of giving you years of solid service with our Certified Pre-owned Vehicles and specials! Low mileage, carefully hand-picked, and are put through a stringent multipoint inspection and refurbishment process that’s carried out by CFA-trained technicians, certified pre-owned vehicles from our lot will surely give you more than your money’s worth! If you want to explore all the available CPOVs and specials at Mancari’s CJDR, Inc., call (833) 372-9600 today! Experience world-class Full-Auto Maintenance, Parts and Repair Service near Oak Lawn, IL with Mancari’s CJDR, Inc.! Mancari’s CJDR, Inc., offers drivers and car owners near Oak Lawn the opportunity to experience premiere full-auto maintenance, parts and repair service for any of their Chrysler, Jeep Dodge and Ram units, regardless if they are new or used! We have a dedicated team of highly skilled and trained technicians that will work on your vehicle’s maintenance and repair needs using 100% genuine auto parts and industry standard equipment! Once your vehicle leaves our lot, it will have been optimally conditioned to deliver quality performance that exceeds expectations! What’s more, we also have our very own tire center to cater all your tire needs, Parts department if you want to order authentic auto parts for your car’s specific model, trim and age, and a sophisticated Body Repair Shop to restore your damaged car back to full strength and operation! On top of that, Mancari’s CJDR, Inc. offers Mopar Coupons and Recalls for extra customer satisfaction. Call our Service Department at (833) 372-9601, our Parts Department at (708) 377-5839 and Body Shop at (833) 371-5512 today for more questions and inquiries!